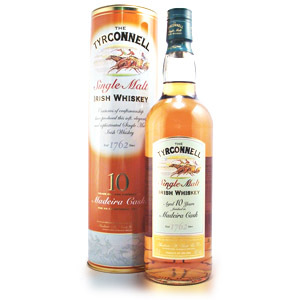 Tyrconnell is a line of Irish Single-Malt Whiskey from independent Irish distiller Cooley. Long hailed as the antidote to Irish Distillers Limited’s stranglehold on the Irish whiskey market, Cooley distills and bottles excellent Irish whiskey (both blends and single-malts) and experiments with finishes and other innovations. Their Greenore single-grain whiskey, for example, continues to win awards. 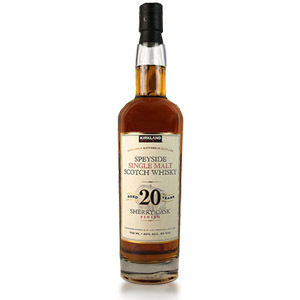 I got a taste of this 10-year old Tyrconnell, finished in Madeira wine barrels. Thanks Louis! 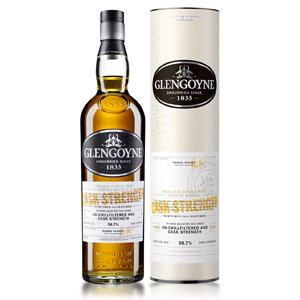 Nose: Winey, sour-salt aroma, with hints of lemonade, candied orange peel, tropical fruits, and refined honey. Fresh and bright. 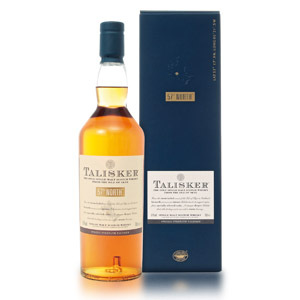 Palate: Very honeyed, with a medium, slightly oily body. Resolves into cherry, a stout oakiness, and a lot of light, jellied fruits. Finish: Heavy with golden raisins, and a little astringent from the oak tannins. Nice and long, fading with just the sweet and light honey flavors. Very elegant. 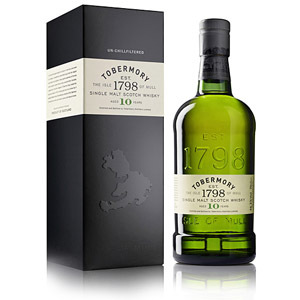 Overall: The light flavors are very much in line with the 10 year age – bright and fruity. What’s surprising is how mellow and passive the alcohol burn is. Extremely easy-drinking. Nice dram. I tried the Madeira and was surprise how smooth, the burn was very mild and enjoyable. 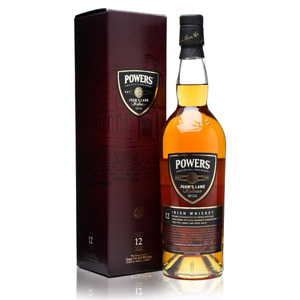 I just recently purchased the port casks but have not yet tried it, I look forward to the next Vince Flynn novel and relaxing with a sniffer ..